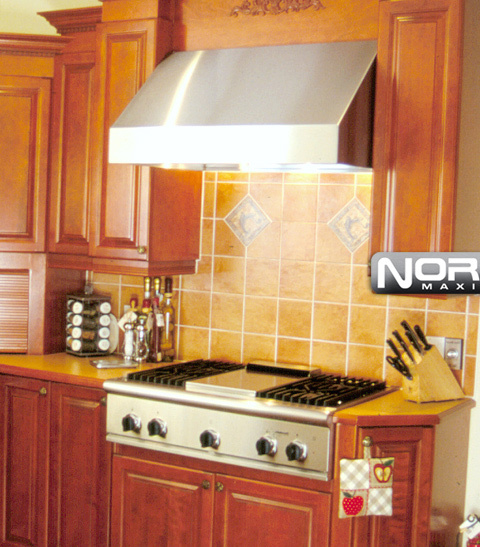 Our ALIZÉ kitchen hoods offer a classic design, blending in nicely with the cupboards it complements. It offers high performances while being easy to clean. Note the seamless corners and the subtle lighting.